The Dream Baby First Potty is easy to use and fits most toilets. For the first stage, it can be used as a free standing potty. For the next stage, the contoured seats fits onto the toilet seat. The potty has been specifically designed to introduce your child to using a potty for the first time. 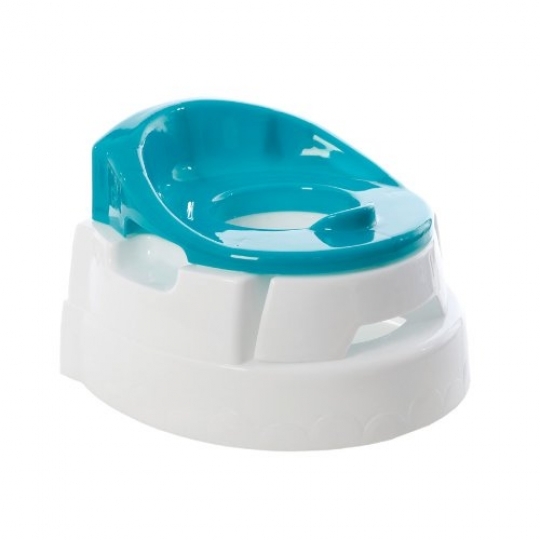 It can be used as both free-standing and fitting onto the toilet, depending on the stages of toilet training. It has a front access bowl that snaps into place, making use and cleaning very easy. It can be fitted onto any standard toilet seat and has a contoured seat for added comfort.